The computer has become the ubiquitous tool of the modern designer. Practitioners can publish books, edit video, build compositions and manipulate sound with more efficiency and ease than ever before. They have an entire suite of every medium they want they at their disposal, and it all fits inside a Sandqvist messenger bag. The practice of the designer has thus changed; no longer is one required to be a specialist within a specific medium, programs for these specialisms can be learnt in a day spent watching tutorials online. The Tools That Shape Us explores why the modern design industry has almost entirely embraced digital means of production in it’s work. From the inception of Graphic User Interfaces in the late 80’s up to today’s subscription based software, I uncover what we may have lost in our haste to adopt design software as our primary way of designing with technology. 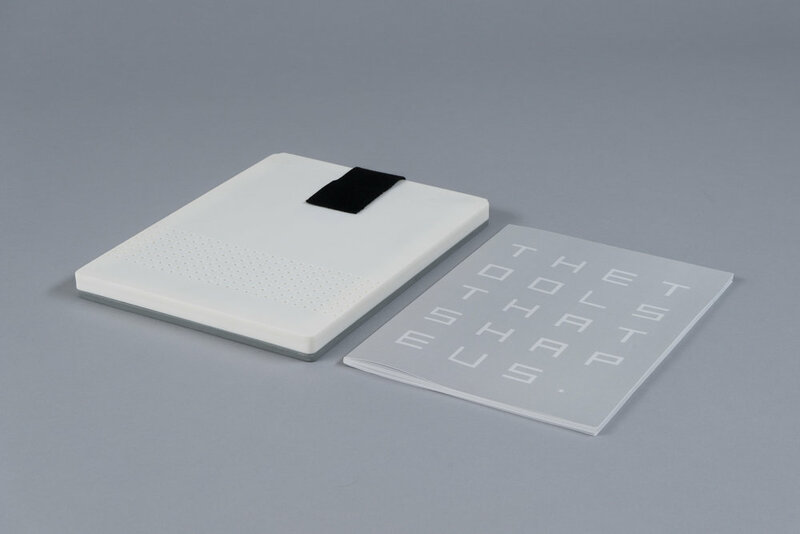 The publication is housed in a 3D printed slip case inspired by the aesthetic and interactions of early desktop computers.